Have you heard of www.weelicious.com? It’s one of my favourite recipe sites created by mom of two, Catherine McCord. It features recipes and videos specially designed for families with young children. When I had a home daycare, nutrition was a major concern for many of my clients. They wanted their children to be served healthy snacks, hot lunches, and even organic foods. Of course, as a mom, I did too. The weelicious.com recipe box is filled with recipes that are not only healthy but quick to prepare too. The site is thoughtfully laid out, dividing recipes into sections for easy retrieval. You can search by ingredient or by category such as gluten or nut-free recipes, lunch ideas, and homemade snacks just to name a few. I especially love the ‘freeze well’ recipe section because I can serve up a portion that same day and then freeze the rest for future meals. It’s a real time-saver to prepare two meals at once. The Easy Chicken Nuggets, Spanakopita and Pumpkin Waffles are just some of my family’s favourites from weelicious.com (all of which freeze well). A new school year means an adjustment in routines and often reduced time to prepare healthy meals. So if you’re looking for some easy, kid-friendly recipes and a little extra inspiration in the kitchen, check out weelicious.com! There are so many child-safe varieties available today to help little hands master this important skill. Some are designed for hand-over-hand assistance while others simply involve squeezing the handles closed. 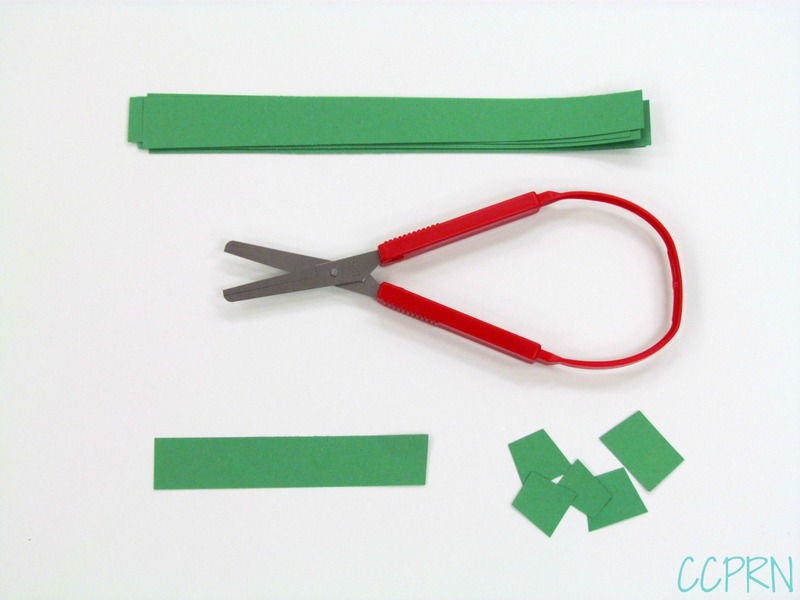 Begin by cutting long strips of paper so that your child can snip pieces off. Then you can build on this skill by incorporating it into a craft activity. 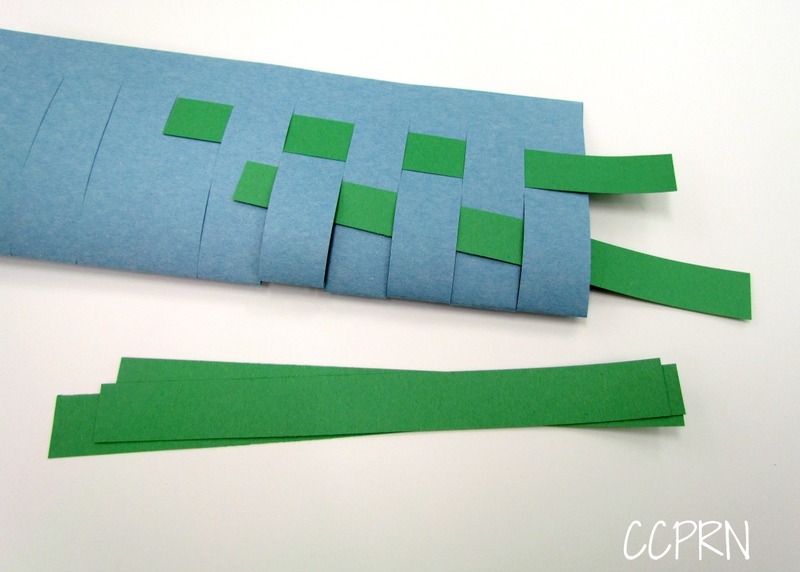 A larger piece of green paper can become grass for a nature scene. 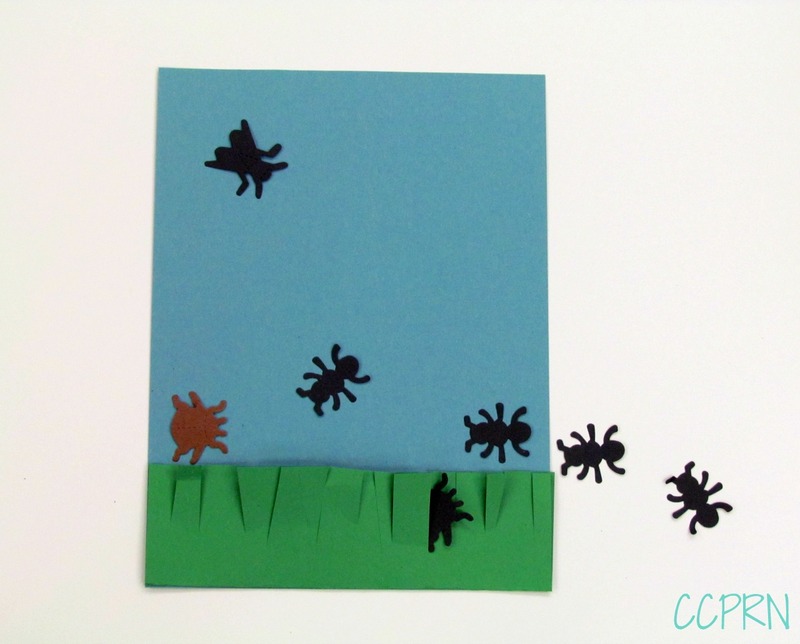 Here we’ve added die-cut bugs, but remember you’re not limited to paper – children love to cut play dough too! Using scissors develops hand-eye coordination and strengthens hand muscles needed for other fine motor activities such as printing. As children become more competent at cutting, you can draw lines across a page for them to follow and cut along. ** Begin with a straight line, then progress to wavy or jagged lines. Long strips can be used for weaving crafts. 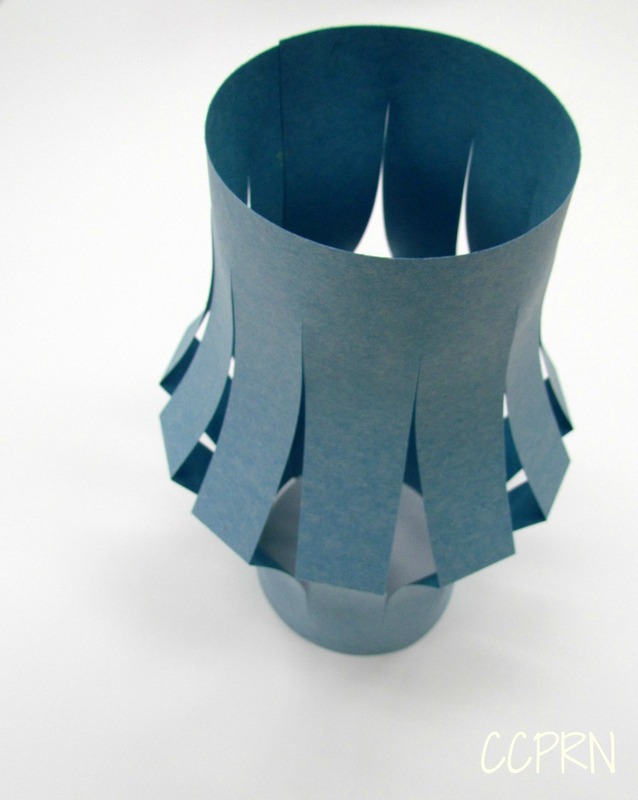 Advanced cutters can cut out circular spirals or paper lanterns to be hung as decorations. 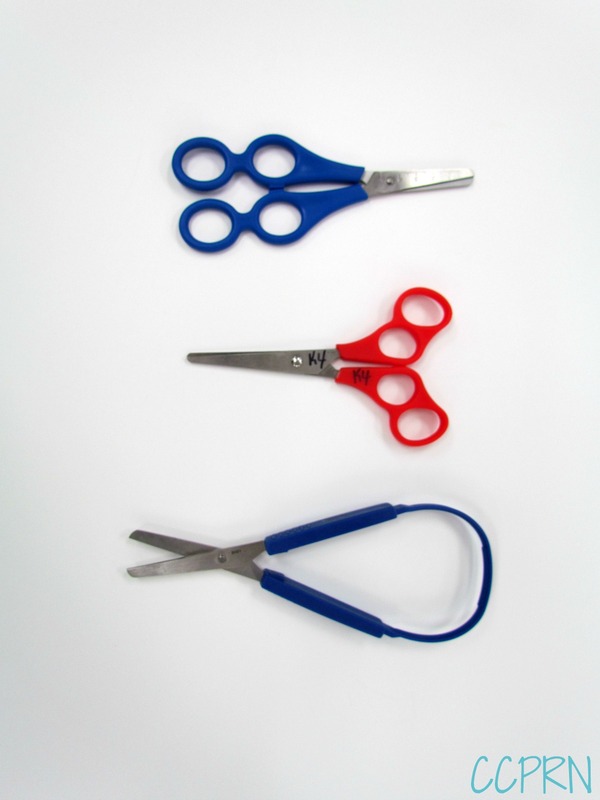 We have a limited supply of ‘beginner’ scissors (pictured at top of page) for purchase at the CCPRN office. For caregivers in Ottawa’s east end, they are also available at All About Kids. To learn more about how to help young children develop root skills – sign up for our full day workshop on the E.L.E.C.T. document. Details are available in our Sept/Oct newsletter and online here. Find the E.L.E.C.T. document here.